Let's give a warm welcome to Leslie Ann Sartor, a fellow author from the USA! I’m sure you’d be interested in her topic. 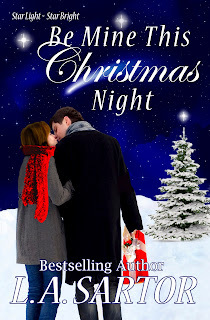 She speaks about her Christmas series books and, trust me, they look tempting. Thank you, Carmen, for hosting me on your blog. It’s truly a pleasure to be here. I’ve written a couple of series and found that I absolutely love writing books where I can revisit characters that I’ve fallen in love with. I have the Star Light ~ Star Bright Series, set at Christmas and my Carswell Adventure series set around the world in exotic locales. But since it’s the Christmas season, let me tell you how the Star Light ~ Star Bright series started. I re-read book one, sticking post-it notes everywhere, then sat outside in the summer sun (not conducive to writing Christmas in Colorado) and just thought. I rarely give myself this kind of time, but I was still stumped. Then it hit me. I had her conflict already built in and the guy to go with it. Voila, I felt prepared to tackle book two, Forever Yours This New Year’s Night. Another bestseller on Amazon, hitting that coveted #1 spot. By the way, I’m always blown away when a book sells well. I love it when it’s finished (and hate it because I’m SO tired of working on it.) But when it climbs the charts, I know it’s really not just me who loves it. So thank you all for making my dreams come true. Okay back to the series, now I had to tackle book three. I had feedback from my readers that they wanted Mitch’s story. WOW! You’ll see why I panicked when you read book one. But I couldn’t let his story end the way it did in Be Mine This Christmas Morn. Mitch was hurting and needed his own happiness. This was the hardest book to write, but I think you’ll be happy with the way Believe In Me This Christmas Morn came out. 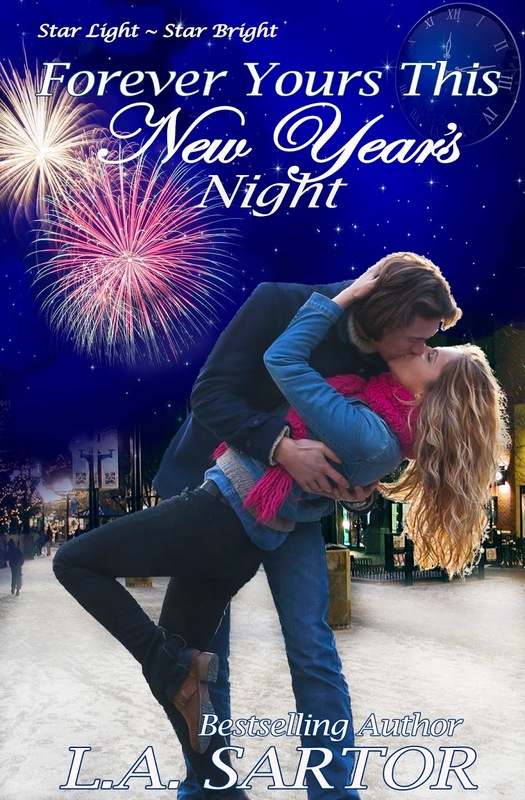 And I promised my readers that I’d write Caro’s story, you meet her via Brice in Forever Yours This New Year’s Night. And finally, I have her story figured out. So next year, there will be another book in the Star Light ~ Star Bright Series. It’s not nearly as easy as I thought it would be to write series. The twins in the Carswell Adventure Series were tough, tough, tough to write. And since that series, Stone of Heaven and Viking Gold are a blend of Indiana Jones and Romancing the Stone, they take huge amounts of research, so I can’t promise one a year. But I’m working on Book 3. All I have to do is find the perfect locale…Venice, St. Augustine, Fl???? It’s going to be a doozy of a story. Thanks for reading my post, I hope you enjoy the books. And I love hearing from readers!! Getting Jennifer Malone to test his new cyber defense system is Major Brice Young’s priority until he discovers she is so much more than the icy cyber geek she portrays to the world. Jen fights to keep her distance, despite Brice's undeniable charm. 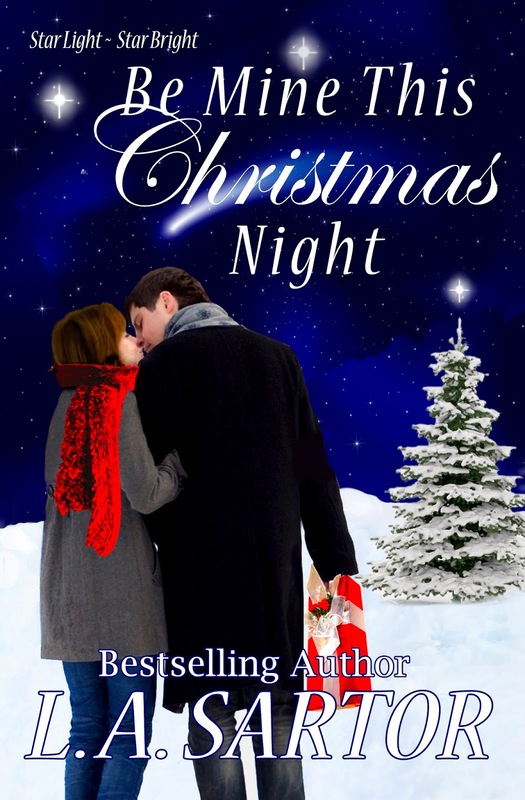 There is no way she ever mixes business with pleasure, especially with a recently divorced man…or can magic happen on this New Year's Night? It’s the week before Christmas and Belle Grantham has won the best gift ever from famed web guru, Mitchell Thomas—a website makeover she’s certain will save her struggling literacy nonprofit. 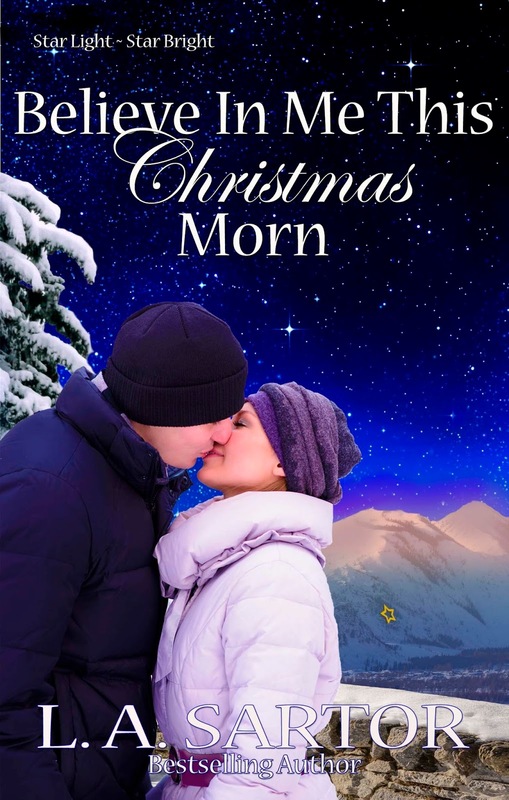 Mitch is getting the Christmas present he so badly wants, an escape from snowy Boulder, Colorado, and its haunting memories. Their wishes are threatened after a donor offers Belle financial rescue, but with unwanted strings…and a ticking clock. L.A. Sartor started telling stories before she could write. Her mom patiently wrote them down and L.A. scribbled the illustrations. She still has them. She’s written award-winning screenplays and has had a contracted adaptation. L.A. will be starting a new Cozy Mystery series in 2017. Writing brings her enormous fulfillment and she truly loves hearing from her readers. Thank you so much for hosting me. It's a treat. I hope your readers enjoy reading it as much as I did writing it. You are most welcome, Leslie! The same wishes back to you! I really enjoyed this post. It's a great description of the trials, tribulations, and joys of writing a series. How admirable to be on task enough to write a Christmas story. I admire that. I agree with you, Flossie,k in what you notice here regarding writing a series. Thank you for checking the post and leaving a comment!